It has been a quite remarkable rookie error by the Labour Party that allowed the mere possibility of specific tax increases to become such a major part of the election campaign, in a climate where the government’s debt is very low, and where official forecasts show surpluses projected for years to come. If government finances were showing large deficits, and there was a desperate need to close them, that political pressure might have been unavoidable. Closing big deficits involves governments taking money off people who currently have it – by whatever mix of spending cuts or tax increases – and doing so in large amounts. But the PREFU had growing surpluses, and Labour’s fiscal plan had almost identical surpluses for the next few years – without relying on any further tax changes that might have flowed from the recommendations of the proposed Tax Working Group. Of course, Treasury GDP forecasts can’t always be counted on – and it is seven years now since the last recession – but there is quite a large buffer in those numbers even if the economic outlook changes. But the other side of politics wasn’t disputing the (Treasury) GDP assumptions. And it seems to have been lost sight of that in a growing economy, with low and stable debt levels, modest deficits (on average) are the steady-state outcome (consistent with low stable debt). That might involve decent surpluses in boom years, and perhaps quite big deficits in recession years (as the automatic stabilisers work on both sides) – but again the Treasury numbers, which both sides are basing their numbers on, say that at present we are in the middle (estimated output gap around zero, unemployment still a bit above a NAIRU, and on the other hand the terms of trade above average). they could have committed to any package of TWG-inspired changes implemented before the next election being at least revenue neutral (if not revenue negative). This latter sort of commitment would have been easy to make precisely because of the large surpluses in the projections both sides are using (see chart above). After weeks of contention and uncertainty – some reasonable, some just fear-mongering – they’ve finally adopted the first option. But you have to wonder what the proposed Tax Working Group will be left to do? In practice, it looks as though it might most usefully be described as a capital gains tax advisory group – to advise on the practical options and details on how to make a capital gains tax work, as well perhaps as to review the evidence and arguments for (and against) such an extension to our tax system (my reflections on the CGT option are here). They’ve ruled out increases in personal or company tax rates, they’ve ruled out GST increases, and they’ve ruled out a land tax affecting the land under “the family home” (which is most of the value of land in New Zealand). They apparently haven’t ruled out revenue-neutral packages that involve a reduction in income tax rates, but this looks like a pretty empty suggestion. Why? The first reason is that they claim that their suite of policies are going to solve the housing crisis. I’m a bit sceptical about their claims (and those of the government), but if they are right, how much revenue do they suppose there is likely to be from a capital gains tax anytime in (say) the next 20 years? Treasury once produced some rather large revenue estimates, but (from memory) they involved some sort of muted extrapolation of the experience of the previous 20 years. Both sides of politics seem to think they can stabilise nominal house prices, and then let income growth and inflation reduce real prices and price to income ratios. If so, there are no systematic capital gains on housing – and idiosyncratic ones (particular cities or specific locations that do well) won’t add to much revenue at all. Of course, it might be different if the housing measures fail, but Grant Robertson yesterday seemed pretty adamant. “What we are signalling is, the Labour Party’s policy is that our focus is on fixing the housing crisis. That is our focus. A capital gains tax might (or might not) be a sensible addition to the tax system, but it shouldn’t raise much money. What else is there? I’m sure tax experts have various small things they’d like the working group to look at, but it is hard to believe there is anything that could raise much revenue. For some, a land tax looked promising – my own scepticism is here. But Labour has now ruled out a tax on the land under “the family home”, which effectively nullifies any possibility of a sensible, credible, and enduring land tax. It is one thing to rule the family home out of a capital gains tax net. Even for most of those left liable for capital gains tax (CGT), the effective liability can be deferred for many years (reducing the present value) simply by not realising the gain (not selling the asset). That is even more true with the sort of institutional holders than many seem keen to encourage into the rental market. And, of course, there is only a liability if prices actually go up. Those are among the reasons why the overseas literature tends to find little evidence that a CGT would make much useful difference to the housing market. A land tax would be different. It is a liability year in, year out. Owner-occupiers (and associated trusts etc) wouldn’t pay it, but everyone else would. It would be a huge change in the effective cost of (say) providing rental services. New Zealand real interest rates are the highest in the advanced world. A very long-term real government bond rate is around 2.5 per cent at present (the real OCR is currently zero or slightly negative). So suppose a government imposed a 1 per cent per annum land tax on land not under owner-occupied dwellings. Relative to a risk-free rate of, at most, 2.5 per cent that would be a huge impost (40 per cent of the implied safe earnings of the asset – the appropriate benchmark since the tax itself isn’t risk-dependent.) It would dramatically lower how much any bidder who wasn’t planning to live on the land could afford to pay for the land – by perhaps as much as 40 per cent. That might sound quite appealing. Rental property owners (actual and potential) drop out of the market and land (and house+land) prices plummet. But wait. Wasn’t the political promise that they weren’t trying to cut existing house prices? And what about the people who – because of youth, or desire for mobility – don’t want to own a house and positively prefer, for time being at least, to rent. And what about farmers? Lifestyle blocks (presumably exempt from the land tax) instantly become much more affordable than farming (which presumably does face the tax). To what social or economic end? Attempt to impose such a land tax and my prediction would be (a) that it would never pass, since it would represent such a heavy impost on a large number of people (and yet on not enough to raise enough revenue to allow meaningful income tax cuts to offset the effect), and (b) if it did pass, exemptions and carve-outs would quite quickly reduce it to the sort of land tax we actually had in New Zealand only 30 years ago – which only affected city commercial property. Now perhaps there is a limited middle ground. There is a plausible case that can be made for use of land value rating by local councils rather than the capital value rating system that most councils now use. I’m not aware that we have good studies suggesting better (empirical) outcomes in places that still use land value rating, but the theory is good. The problem, of course, is that by ruling out a land tax on the family home, Labour would appear to have ruled out (say) using legislation to encourage or compel councils to rely more heavily on land value rating. Perhaps that might leave undeveloped land within existing urban areas as potentially subject to land value rating? There might be some merit in that, but the potential seems quite limited. So, as I say, it looks as though the proposed tax working group should really just be a CGT advisory group. And that would be a shame because, whatever you think of the merits of a CGT, it isn’t the only issue that would have been worth addressing in a proper review of the design of our tax system. For 30 years now – since what was a fairly cynical revenue grab (recognised at the time by those involved) in 1988/89 – our tax system has systematically penalised returns to savings (both relative to how we treated those returns previously, and relative to how other countries typically treat such returns). The prevailing mantra – broad base low rate – which holds the commanding heights in Wellington sounds good, until one stops to think about it. We have modest rates of national savings, and consistently low rates of business investment – and our productivity languishes – and yet the relevant elites continue to think it makes sense to tax capital income as heavily as labour income. It doesn’t, whether in theory or in practice. They don’t, for example, in social democratic Scandinavia. They don’t – when it comes to returns to financial savings – almost anywhere else in the advanced world. We should be looking carefully at options like a Nordic system, a progressive consumption tax, at inflation-indexing the tax treatment of interest, and at whether interest should be taxed (or deductible) at all. Plenty of people are worrying about the potentially radical nature of some aspects of a possible new left-wing government. I come from the market-oriented right on matters economic, but I worry that in these areas they won’t be radical enough – won’t even be willing to open up the serious issues that might be contributing to our sustained economic underperformance. And frankly, when the debt levels are as low as they now, and sustained surpluses appear to be in prospect, if ever there is a time to look at more serious structural reforms it is now. It is a great deal easier to do tax reform when any changes can be revenue-negative (actually the approach taken by the current government in 2010 – see table of static estimates here) or (depending on your orientation) used to increase public spending. But it looks as though another opportunity is going to be let go by. That would be a shame. And finally, a chart showing in just what good shape New Zealand public finances are relative to those in the rest of the advanced world. New Zealand government debt has increased relative to GDP under the term of the current government (mostly some mix of a recession and earthquakes), but government debt as a share of GDP has increased in most other countries too. Here is the gap between New Zealand and the median OECD country, using the OECD’s series of general government net financial liabilities. Our net financial liabilities last year were around 5 per cent of GDP on this measure (seven OECD countries have less net debt, or have net assets). The median OECD country has net financial liabilities of 40 per cent of GDP. But here is the gap, going back to 1993 when the data commence for New Zealand. It is quite a striking chart – and took me a little by surprise frankly. If you didn’t know when the two changes of government had occurred, there would be no hint in this chart. For almost 25 years now we’ve kept on lowering our net debt relative to that of other OECD countries, through good times (for them and us) and for tougher times, under National governments and Labour ones. There just isn’t any obvious break in the series. And as we have a lot fewer off-balance sheet liabilities (eg public service pension commitments) the actual position is even more favourable than suggested here. I’m not a big fan of increasing government debt as a share of GDP – and low as current interest rates are (a) productivity growth is lower still, and (b) our interest rates are still the highest around. But you do have to wonder quite what analysis backs up the drive for still lower rates of government debt to GDP, absolutely and relative to the rest of the advanced world. And persisting with the “big New Zealand” strategy of rapid population growth makes the emphasis on very low levels of government debt even more difficult to make much rational sense of. * Michael Reddell is a Wellington-based independent economist and commentator on economic and financial affairs, blogging at www.croakingcassandra.com. He recently left the Reserve Bank where he had held various economics and management positions over many years, including Head of Financial Markets and manager responsible for economic forecasting. This article was first published on Croaking Cassandra and is used here with permission. I did wonder if Robertson/Ardern were leaving the option open for lower taxes on savings and higher taxes elsewhere to achieve an overall tax neutral change. They might want to do this to improve the incentives for investing in productive capital. This tax change designed to work alongside a move away from investing in unproductive capital (bidding up the prices of existing houses), which is achieved by regulatory reforms to planning, better infrastructure funding, KiwiBuild, banning foreign buyers, reduced immigration rates etc. "The Labour tax document released yesterday explicitly says “The Working Group will not consider increases to personal income or corporate taxes, or GST rates”, sadly not even as part of a rebalancing of the sort you suggest." Hopefully if Labour does lead the next government they can find some way to review these policy settings to achieve a better balance in our economy/society. I agree and do hope once they are in government that they expand the review to challenge that BBLR dogma/strategy that was appropriate in Roger Douglas' day but may not be our best option given current circumstances. We are no longer saving the country from bankrupcy as Lange/Douglas did as the author rightly points out! We now need our tax system to work for us in relation to addressing our relatively low/modest savings rate, low rates of business investment and poor productivity performance. I'd prefer Labour write a ToR to get a group of experts to design a system of taxation from first principles with the objective to improve those three parameters. Doing the work while in government is only a first step in terms of the conversation we need to have with respect to reforming both our tax and welfare systems (which are joined at the hip given the level of tax transfers to non-beneficiary/working households that have grown and grown over recent decades). In this election, Labour have aimed their TWG ToRs at addressing the housing crisis through tax dis-incentives (CGT) but their existing policies address that without the need for a CGT for that purpose (and whether it would/would not have assisted is not clear anyway). I'm confident that house prices are on their way down and that normal market mechanisms in our clearly over-heated/unaffordable regions will be helped along by Labour's existing policies to reduce property speculation (from local and overseas investors) and to build, in particular, more state houses that will take pressure off the private sector rental market (where many of those on state house waiting lists are waiting) and to free up land supply. Yes, I couldn't agree more - once in government let's hope this new Labour government is as bold as its 1984 counterpart. The economic circumstances of the two incoming governments are wildly different between 1984 and 2017, but the need for substantial change is no less urgent. Giving hope is the most fragile leadership skill. It is hard to acquire and easy to lose. With a fair wind, some smarts and a lot of bravery Jacinda could be a leader whose defining characteristic is her ability to give hope. 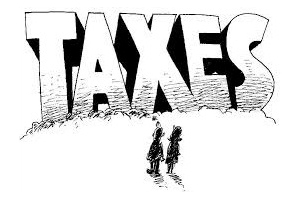 It is fair comment that we are due for a complete overhaul of our taxation and largely because, since the innovative and courageous introductions of the Lange/Douglas government, there has been so much tinkering and bias that the whole system is unwieldy, unfair and in parts, plain stupid, for instance, open slather property speculation = tax free. But how about the other side of the ledger, Injudicious, unwarranted, excessive government spending. This National Government promised to cut all that out. Yet we have had massive, irresponsible and unaccountable wastage eg $35 mill Dept of Health headquarters, $50 mill of similarly MBIE, and don't get me started on the hapless flag venture. Fair enough to pay attention to the cream coming onto the top of the bucket, but how about all the milk dripping out of the rusty holes in the bottom. I agree about tax overhaul. And I would be quite happy for them to take a look at everything, every type of taxation, including an FTT. We live in completely different times to those that saw GST introduction, I mean who then thought we'd be tippy tapping to each other as we are here, now, back then. At the end of the day Labour need to make up their minds what they want. Do they want home ownership judging by the cries about that, or do they want solve this claimed crisis? The reality is housing is a good investment if you can do it, you get a roof over your head and an asset and can borrow the money for it. Other assets don't do that and while you can save there is limitations on that because you've got to feed, clothe and house yourself while salting aside a little for later. They've spent years and years wringing their hands over this, but at the end of the day for a person of modest means it's the best investment. Looking at the figures, the tax take using current means is bringing in plenty. It should be left at that. Labour is not offering tax-neutral options, they've got a big spend up on costly election promises to pay for and need to extract more from the tax payer by hook or crook. The whole idea of that they actually want to do something with the housing market is somewhat of a farce as there clearly isn't a solution ready to hand and current measures seem to be putting the brakes on it anyway. This post is a great example of how the public is mislead by misinformation. Its claims are of course so wrong as anyone truly aware of what is happening in NZ must know. Very well put. The housing issue is just being used for an attempt to drive through the usual left-wing tax and spend agenda . ..a climate where the government’s debt is very low, and where official forecasts show surpluses projected for years to come. I probably haven't been paying much attention to things but this comes as quite a surprise to me. Maybe I have been listening to the doomsters too much. When I look at my own situation and that of everyone I know things look pretty sweet. When I compare NZ to other countries things look good too. High happiness levels, low unemployment, highly rated cities and so on. If you did a study of the outcomes of all immigrants who arrived here between 1990 and 2010 it would be interesting to compare things like home ownership rates, investment properties, household income, crime rates and so on. My gut feeling is that these statistics would highlight quite a marked difference to many local folk. The annoying thing is that many locals are the authors of their own misfortunes. They haven't taken advantage of the opportunities that NZ offers. Many have given up before they have even begun and now people talk about increasing taxes to cover for these people. It's no wonder that NZ's immigrants are likely to vote National if tax increases are not necessary or are simply being used to fix things that they suspect were entirely avoidable in the first place. Of course immigrants , who require points to prove they have potential, are likely to be much more motivated to become successful. NZ's immigrant selection systems, man made and natural, by and large filter out dropkicks. Anyway NZ appears to be a land of surplus, a land of opportunity, a land of peace and enterprise, a land of freedom and reasonably mild weather. You almost need to try hard to fail in such an environment which is why it is still such a popular destination for migrants. i tend to agree with you on so many levels Zac - as someone who came here 12 years ago from the UK - life has just been amazing and what i have been able to achieve and build for my family is way beyond anything i could ever have dreamed of in the UK - or anywhere else in Europe for that matte. I work in mental health / traumatic Brain Injury - so its not like i am in a super high paid job - but its been about making sound financial decisions - both in what i invest in - and what i chose not to spend money on! We certainly do need a welfare system, and it should be more generous than it is - but it should be directed to those whose circumstances dotn allow them the privileged and opportunity NZ provides - and we can afford it - if we stop with the handouts to those physically fit but so entitled why should i work individuals milking the system. Perhaps some focus on getting help and supports to those who actually need it - and forcing those who are perfectly capable of working into jobs would free up the money to ensure those less fortunate have proper supports. it is a Shame to draw battle lines between social classes, certain industrial or commercial sectors ( like landlords, Farmers, business owners) - it is a cheap attempt to preserve relevance mainly by blackmailing some misguided or incapable people 's emotions ...squeezing on their pain to harvest votes - will these be better off in the next 3 years - I honestly don't think so ...! This has nothing to do with GDP and all the complicated language to impress or confuse Joe Bloggs ... it is just politics. If the Left get's in, they'd better do something and achieve the improvements they are claiming ( we can do better stuff) or they will be drop kicked back to the opposition benches for a very long time no matter what excuses they would come up with. So if the left get in, they actually have to deliver what they say they're going to deliver....but if the right get in they just flip-flop and turn a failure story into a 'success' story.....We have a housing affordability issue that needs fixing.....'expensive houses are a sign of success'. Eco Bird - out of interest, do you not even see a hint of hypocrisy in some of the positions that have been taken by National and its supporters? (I've been a National voter in the past - but won't be this time due to their inability to follow through with what they say they're going to do). Labour Might be voted in ( thanks to some misled and ill informed voters) and could be given a chance to form a coalition with some other similar ideologically-bankrupt losers and hypocrites like the Greens ( if they ever pass the line) ....If they fail to do better as they claim - then they will be doomed and kicked out ... No point in comparing them with National as they have done good things already and have a track record to prove it ! Vote as you see fit ... everyone has his own limitations in resolving complicated issues like the one we currently have .... and some of us are limited to one or two issues and cannot be bothered beyond that ... But get ready to be disappointed as it is NOT that simple, and don't cry too loud when they fail .. people might take notice that you voted for them ...!! To the contrary Independent Observer, if the left get in and deliver what they say theyre going to do (raise taxes, reduce migration etc), something that many will say will hurt growth, incomes and then jobs, if that proves to be true, and Labour's "I know better" approach proves to be wrong, its going to be its final undoing as a serious political party on this country - someone else will grow to replace it. I hope that doesn't happen because most of us will suffer to some extent because of it, particularly it's traditional support base, but I have no doubt they won't recover from it ever. Zac, kpnuts & Eco Bird - I thought I was on the wrong website there for a moment - Three eminently sensible postings in a row from three different people who all point out the reality of where we're at currently, a country where opportunity abounds for those prepared to show some ambition and desire to better themselves and their families, and support for those that have genuine issues. Personally I believe Labour are going to get that chance, and I will support the Govt of the day, but in the event of failure, I believe it will be finally terminal for them as a major political party in this country. What a startlingly naive comment!
" But you do have to wonder quite what analysis backs up the drive for still lower rates of government debt to GDP, absolutely and relative to the rest of the advanced world." The debt dependent private sector crowded out the government. Nonetheless, the Nats still managed to extend net government security issuance north of $ 50 billion after taking power in November 2008. It would also be interesting to scrutinise accumulated net present value off-balance sheet government liabilities associated with past and yet to be completed Public Private Partnership schemes. Furthermore, RBNZ printing NZD liabilities to secure foreign reserves could also be added to the government debt ledger. Never mind that these liabilities end up lent out to the ever needy private sector via bank swap counterparties. This time, there are unique factors that suggest collapse on a size beyond the experience of anyone active in business today. The stock market reset should really have come in 2004. After 2008’s expensive close-call, both US and European banking rules seemed set for tightening and overall reform…but it didn’t happen. Today, a great many influential banks and banking firms across the world have a model riskier than Lehman Brothers’ just before it collapsed. The last really calamitous capital disaster was in 1929. In 1929, there was no shadow banking sector, no internet, no mass-scale computerised trading, no credit cards, no energy shift, no globalist banking dominoes, far less investment credit provision, no euro, no Chinese debt corruption, no dollar-borrowed Brics, almost no serious property bubbles anywhere, no European Central Bank, and no fractional reserve banking nonsense at all. Beyond those industry-specific absences, there were, in turn, no nuclear weapons, little known oil in the Middle East, no European Empire, sorry - Union, madmen, and no Jihadists armed to the teeth by globalised weapons conglomerates. America was isolationist, Japan was self-confident, Britain had a stable Empire and Russia was cut off by Stalin’s Socialism in One Country. Against this backcloth of delayed punishment and dangerous instability, Janet Yellen, Mark Carney and Mario Draghi maintain the myth that normality is just around the corner. While not quite as far off with the fairies as President Juncker, this unholy trinity is nevertheless attempting to prop up confidence by predicting actions that smack of confidence. The only problem here is the smack in the face emerging nations are going to get when they step upon the debt-rake. There is an enormous amount of dollar-denominated debt around – especially in South America. The problem is not sovereign bankruptcy, because that doesn’t matter….unless you’re Greece, and being beaten by the Brussels baseball bat to discourage others. The problem is what the lending institutions do when governments renege on the debt. The idea of raising rates aggressively may be justified by “the data”, but that’s because the data lacks emotional intelligence, and is blind to curved balls. As a policy, given the landscape it is divorced from reality. The Fed has begun to believe its own spin. When stock values bear no relation to economic performance in general or margins in particular, when investment packages are related to seven types of junk, when hugely indebted Sovereigns are viewed as safe havens, when savers cannot get interest returns, when negative interest rates are accepted as a sane concept, when criminal deception is punished by tax bribes masquerading as fines, and when a tiny Greek surplus is lionised while an unrepayable debt is ignored….then you know that Reason has left the theatre. As a corporate investor, I have long marvelled at the lack of political will to address the (comparatively) punitive tax treatment of dividends and interest. It would be a relatively simple exercise to extend the excellent PIE concept to include a wider range of corporates and allow an element of inflation offset to bank interest income, as the author discusses. A thought provoking article. Keep them coming Michael.